Within the white expanse of this publication and of watercolour paper, alongside miniature porcelain figures, enveloped in elements of nature hides the artist Ieva Jurjāne. Ieva graduated from the Painting Department of the Art Academy of Latvia and in the last twenty years has organized a dozen personal exhibitions, created illustrations for magazines and children’s books, as well as worked on a number of animations. Ieva’s name is often heard in relation to the world of film and opera. Ieva has been passionate about sceonography and costume design since graduating from the academy, and the meeting of these spheres has always given the artist the opportunity to express herself in both grandiose and miniature format works. As regards painting, Ieva has always touched on themes that are close to her own domestic and private life – she has immortalized her friends and colleagues, created the landscapes of her children and their toys (for the exhibitions I See Them (2008) and The Toy’s Story (2012) at the Creative Studio of the Arsenāls Exhibition Hall of the Latvian National Museum of Art. Ieva possesses the ability to apply generalisations to thesethemes, to convert them to signs and make them have effect without detailed explanation. 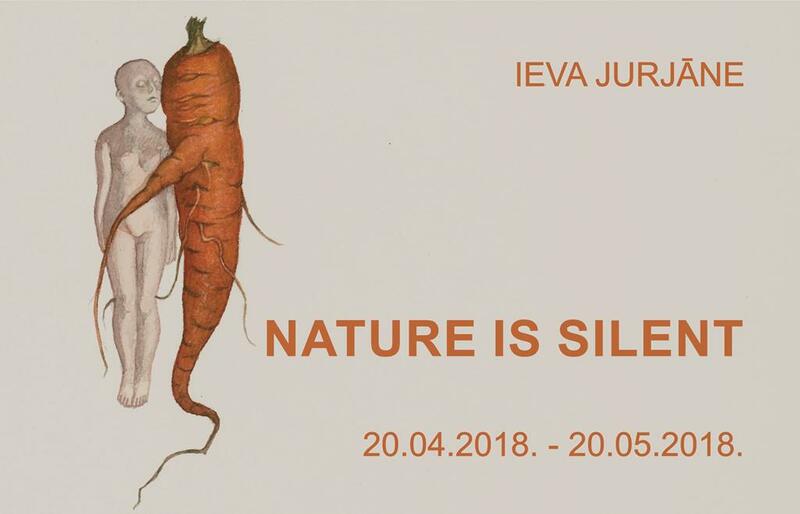 It seems that in Ieva’s instance the most important aspect is the interaction with the main character – one’s peer, or in the case of the most recent series Nature is Silent, with nature. As a painter (or set and costume designer in cinema, theatre or opera), Ieva is an intuitive storyteller, whose most important condition is the moment of believing. She does not strive for the scrupulous analysis of her thought processes, but allows them to come alive in carefully captured portraits of natural elements or the world order. Ieva reveals that in these watercolour paintings „the confrontation of one figure with some element of nature is only one moment in life, one phase that alternates with the attempts of similar beings to exchange energy, which affirms the meaning of existence”. Her paintings do not offer a direct narrative, however one does exist on a meta-level. This is similar to the way it exists in real life, providing we believe that it is influenced by fate. Ieva’s absolutely realistic manner of painting and attempts to portray a realistic scale characterises her as a very honest artists and person as a whole. How can we interpret this? The approach to portraying her chosen character shifts between absolute hyperrealism and naivety. The touch of her brush makes one perceive the intersection of line and colour as a learning experience, as an attempt to understand, explore and become acquainted with the silence that accompanies it. Ieva has given this series of watercolours a title that can be explained as a reverse concept of a still life, as a rendering of a constructed or staged composition of live or dead natural elements. Various combinations demonstrate the capacity of meaning, making these operate as a direct confrontation with nature, revealing its independence and ability to remain unchanged. Even more so – it invites one to observe and meditate on the role of a live being within it. Alongside Ieva’s discoveries – animal bones, mushrooms, old pieces of wood, lichen, pine needles, wooden discs, tangled roots and ordinary garden vegetables – the artist has nestled miniature images of people. They adopt various poses, as if growing together with these fragments of nature. „Some special reason does not let me pass them by, I must take them from their landscape or environment, lift them into white limbo and translate their meaning,” this is how Ieva describes the process. Although the paintings have been created in a relationship of one to one, the elements they contain have been monumentalised. The realistic manner, the marked close-ups and negative space created by the white background makes the elements palpable. In this way each of the arrangements suggests a consideration of the relationship between the character and the environment in which it is placed, about its feelings – both physical and spiritual. The range of feeling extends from that of harmonious inclusion and joining to even the embattled desire to reject. It is possible that a role playing game and the presence of a narrative have entered here directly from the stage environment, which allows one to speak of the ambiguity of context. The artist does not comment much on her work. And this time, more than anything, she wishes to remain in the position of observer, in a way merging with nature. „Learning about the inside by studying the outside,” says Ieva. She invites us to join her in learning from fragments of life which have been removed from their natural environment or context, fragments which she has selected with the precision of a set designer. These serve as pieces cut out from reality or to be more precise – the watercolour paper absorbs the total reality. It can be seen as Ieva’s main motivation in the creation of paintings, because only by stepping back and cleansing oneself of all that is extraneous is it possible to see the complete view or precisely the opposite – to create the illusion of reality. Commenting on the early stages of creating this series, the artist mentions despair as one of the origins of the idea, which makes one wonder whether this has served as its own sort of impulse to return to ones roots – to go into nature, to lose a sense of time walking through the forest and fields, and remove oneself from the daily rush and the emptiness that it brings? The arrangements, which have been painted freehand almost like a practise exercise, have undoubtedly demanded meditative exploration. Through these we can read the artist’s emotional state, her principles of seeing, because each of these compositions contains a choice – in terms of its elements, framing, and angle of reproduction. This, of course, presents the question, to what degree is this all about Ieva? However, observing the sensitive paintings and forgetting oneself in their corporeity, one realizes that this has no meaning. This oppressive feeling of „fine dust” has been experienced by each of us at least once. Subjecting the figures to further examination, it is necessary to mention that they exist not only in a plane, but also in spatial arrangements. Ieva learned the technique of building in porcelain in order to create these miniature characters –naked symbols of human existence, timorous and unprotected. The chosen material and the complexity of its production contain an ample range of themes, in a way also pointing to the immeasurable fragility that characterises humans. It takes at least a week to create one of these figures, and any mistakes cannot be fixed – just accepted. However, these accidents gain a new meaning in the hands of the artist – a person as a creation, whose spirit is large, while its physical presence in the face of eternity is insignificant and impermanent. One of the works from the Nature is Silent series – a white porcelain vase with miniature figures clinging to its surface – is not just a utilitarian object. „A person, who has overcome the slippery surface of an impossible shape, tries to peer into the vessel of consciousness, which attests to the human propensity for cognition. 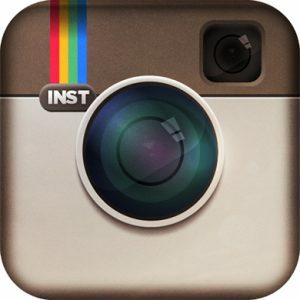 This is an impulse, the ability to not lose energy,” according to the artist. Through small epiphanies Ieva points to the scale of these live beings to that of the world, placing asexual figures similar to newborn babies in segments of real environments or placing a plant next to an image of the world, which has been removed from its literal interpretation. Here, in her own way, the artist invokes the mythology of nature and the basic elements of life, which are revealed to us through the high-quality and clarity of the corporeity that has been achieved. It is precisely because of the corporeity of the colour and painting that the works invite us to touch them: to touch the sand, earth and lichen, the shell of a crayfish, the carrot or the juicy half of a watermelon. Taking into account the fact that Ieva more or less consciously offers to explore the whole life cycle, one has to also mention the inescapable presence of death – worms in the stomach of a bat, the decay of poisonous mushrooms, the drying of fresh pine needles. But I would like to direct attention to the peace radiating from the human figures, their mutual respect and even bowing in front of nature. Because unlike people, nature is patiently silent.